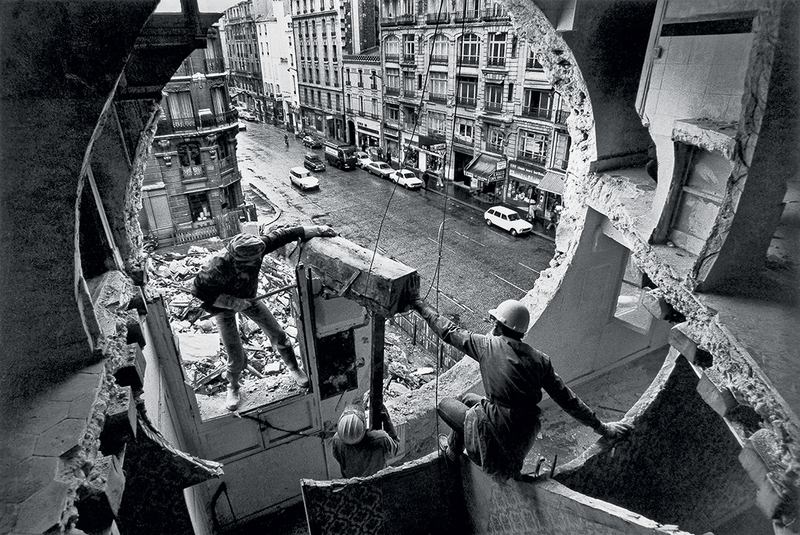 Soon after completing his studies at Cornell University School of Architecture (1962-1968), Matta-Clark moved to New York and started developing a series of artworks in situ that seemed to perform an anatomy of sorts on the very body of the urban landscape by literally cutting structures apart and exhibiting the remnants as demonstration.An important part of these actions were realized in the South Bronx during a period marked by the borough’s steep economic decline prompted in great part by the massive exodus of its middle class to suburbia. As a consequence, a great number of abandoned buildings in the area provided raw material for Matta-Clark to intervene on. One of the most iconic series from this period, Bronx Floors, became emblematic of Matta-Clark’s practice and was later expanded into highly ambitious works such as Conical Intersect (Paris, 1975).In addition to undermining the vocabulary of modulation and repetition that characterized modernist architecture, Matta-Clark also recognized the growing tendency toward public interaction exemplified by the proliferation of graffiti. Despite its ancient roots in history, graffiti had become a worldwide phenomenon since the postwar particularly among impoverished post-industrial communities. Countering the bleakness of urban sprawl, graffiti became a means of expression for youth everywhere to rebel against conformity and ultimately the authority of the architect. Ironically, Matta-Clark’s cut-up method, borne out of the rubble of industrial era landscape, would later become extremely influential among younger architects, particularly those associated with deconstruction theory, such as Frank Gehry, Peter Eisenman and Daniel Libeskind. More recently, with the reevaluation of urban culture, Matta-Clark’s works on graffiti have also proved prescient in pointing to new directions in architecture as a growing number of designers are looking at graffiti for inspiration.